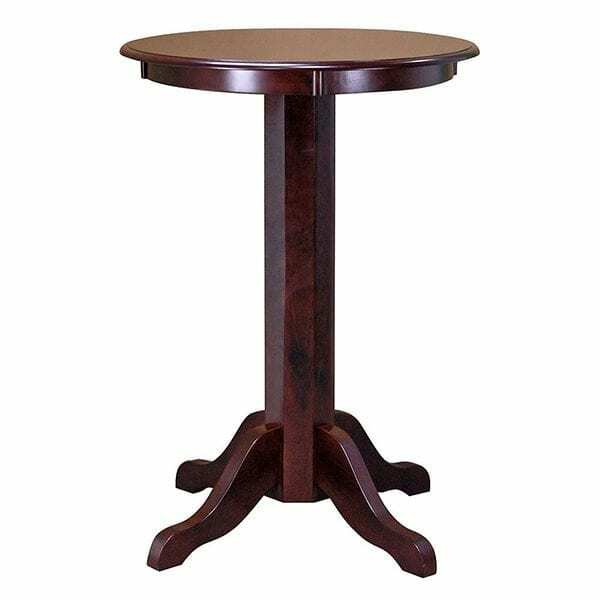 Perhaps you’ve been looking for just the right pub table but haven’t found one that fits your décor. Our Pub/Bistro Table gives you the room you want and stylish looks, too. 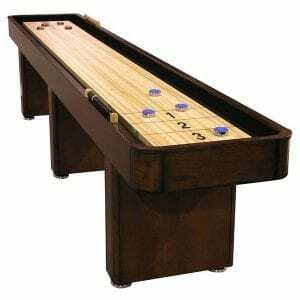 The Pub/Bistro Table is a perfect accessory to any game room. The sturdy four leg design allows for added stability and enhances the classic look. Team this table with barstools or Pool Table Chairs for a great conversation or dining area. Why not get two or three of these tables so you’ll have enough room for all of your friends when they come over to watch the big game? 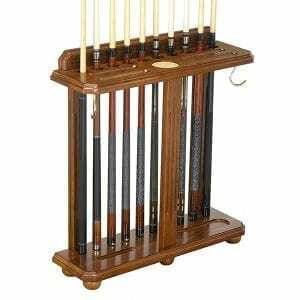 Pair these tables with some of our great Executive Billiard Storage Benches to vary the seating arrangement in your game room. 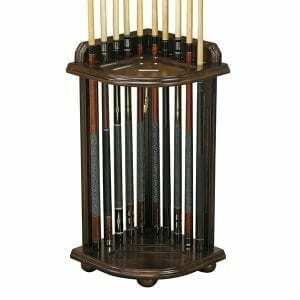 Be sure to see all of our billiards accessories like Wall Mounted Cue Racks and ball sets. 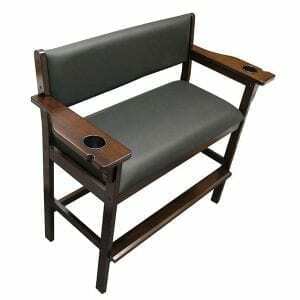 Many of our chairs offer cue holders that slide out of sight when not in use. Top off your game room design with one of our bars and you’ll have the ultimate gaming space.